Microsoft has launched a new webcam, LifeCam Studio, featuring sharp high-definition (HD) video with a true 1080p sensor1. 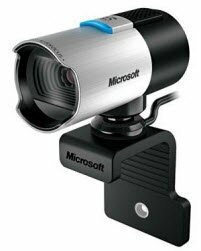 Microsoft’s newest LifeCam is the perfect complement to Windows Live Messenger 2011, which will offer HD video calling in a 16:9 widescreen format so everyone can easily be seen in the video call with amazing detail2. When people can’t attend an important life moment in person, LifeCam Studio delivers the closest thing to being there. The launch of Microsoft’s latest HD LifeCam comes at an exciting time for webcam users with the recent announcement that Windows Live Messenger 2011 will support HD video calling this fall. “With Windows Live Messenger, customers can now have richer, more meaningful conversations by sharing photos, playing games and, of course, instant messaging all while video chatting in HD,” said Michael Chang, group product manager, Windows Live Messenger.